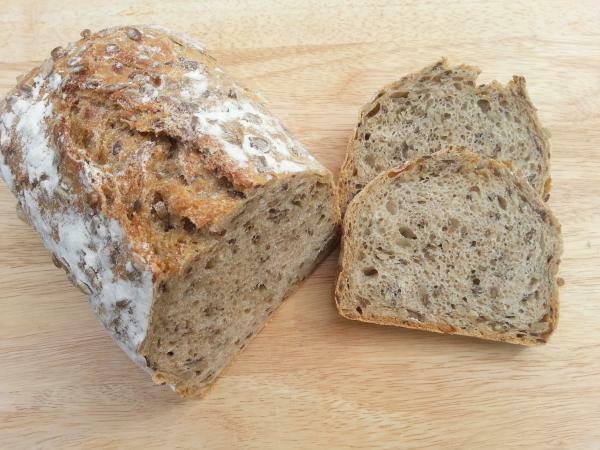 Birgits Blog - Our "SEEDED WHOLEGRAIN"
Great toasted with butter and honey! With a little spread and sliced tomatoes and garden cress on top. 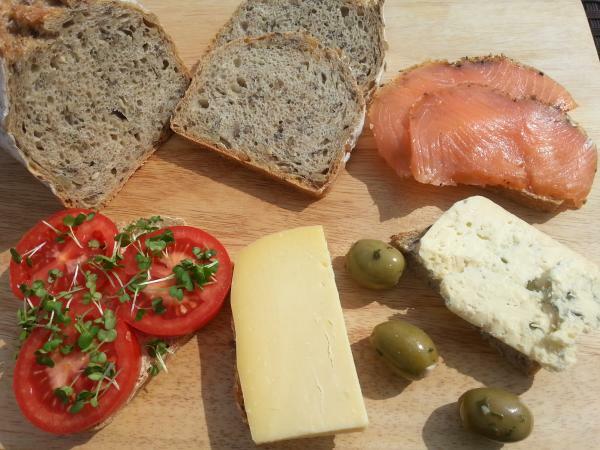 Or rather some smoked salmon, pate or salami? Nice with everything savoury or sweet – the all-rounder for your family! 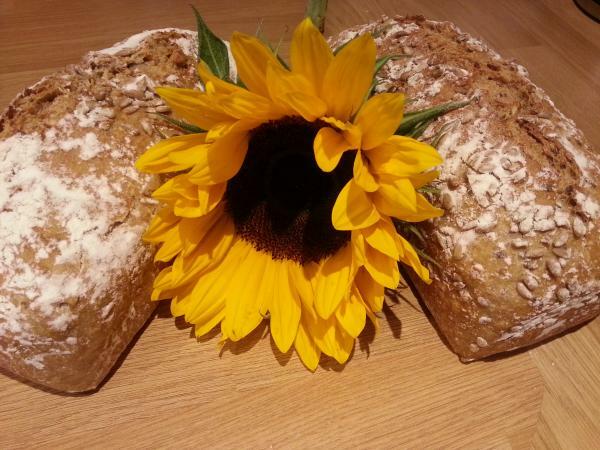 Well there is a similar spelt bread which we bake as well: Sunflower Spelt! Again: a blend of wholegrain and plain spelt flour with plenty of sunflower seeds! Both are sourdough bread (as all of our bread are sourdough bread) the main difference is the flour we use - otherwise great tasty slices of bread everytime you are enjoying it! Well, sunflower seeds are known as an excellent source of vitamin E. They are also a very good source of vitamin B1. In addition, sunflower seeds are a good source of manganese, magnesium, copper, selenium, phosphorus, vitamin B5 and folate. Iron which contributes to the normal formation of red blood cells & haemoglobin and to the reduction of tiredness & fatigue. Iron also contributes to normal cognitive function and to the normal function of the immune system. A 50g serving of sunflower seeds contains 23% of your daily RI for Iron. Fibre a 50g serving of sunflower seeds contains approximately 3.0g. Vitamin E which contributes to the protection of cells from oxidative stress. A 50g serving of sunflower seeds contains 157% of your daily RI for Vitamin E.
Thiamin (Vitamin B1) which contributes to the normal function of the heart. It also contributes to normal energy-yielding metabolism. 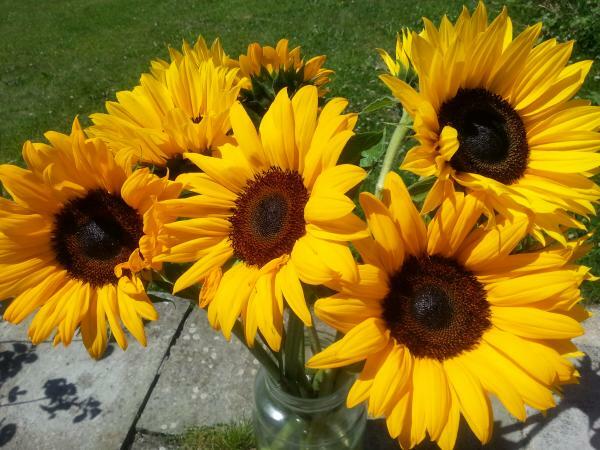 A 50g serving of sunflower seeds contains 73% of your daily RI for Thiamin. Zinc which contributes to normal fertility and reproduction and contributes to the maintenance of hair, nails, skin, bones and vision. Zinc also contributes to normal cognitive function and to the normal function of the immune system. A 50g serving of sunflower seeds contains 26% of your daily RI for Zinc. Phosphorus which contributes to the maintenance of normal bones and teeth. A 50g serving of sunflower seeds contains 46% of your daily RI for Phosphorus. Magnesium which contributes to normal muscle function and to normal protein synthesis. Magnesium also contributes to a reduction of tiredness & fatigue and contributes to the maintenance of normal bones & teeth. A 50g serving of sunflower seeds contains 52% of your daily RI for Magnesium. Manganese which contributes to the protection of cells from oxidative stress. Manganese also contributes to the maintenance of normal bones. A 50g serving of sunflower seeds contains 55% of your daily RI for Manganese. Potassium which contributes to the maintenance of normal blood pressure. Potassium also contributes to normal muscle function. A 50g serving of sunflower seeds contains 18% of your daily RI for Potassium. Selenium which contributes to the protection of cells from oxidative stress and to the normal function of the immune system. Selenium also contributes to the normal thyroid function. A 50g serving of sunflower seeds contains 45% of your daily RI for Selenium. Niacin (Vitamin B3) which contributes to the reduction of tiredness and fatigue. Protein which is needed to grow muscle mass & maintain normal bones. On top of it with the SEEDED WHOLEGRAIN you get plenty of linseeds as well. Protein found in Linseeds are packed with essential amino acids which are needed to grow muscle mass and maintain normal bones. Iron helps contribute to the normal formation of red blood cells & haemoglobin and aids in the reduction of tiredness & fatigue. Iron also contributes to normal cognitive function and to the normal function of the immune system. A 50g serving of linseed contains 20% of your daily RI for Iron. Fibre rich foods will help you feel fuller for much longer and help to reduce snacking on unhealthy foods throughout the day. 50g serving contains approximately 13.7g. Zinc contributes to normal fertility and reproduction and contributes to the maintenance of hair, nails, skin, bones and vision. Zinc also contributes to normal cognitive function and to the normal function of the immune system. A 50g serving of linseed contains 22% of your daily RI for Zinc. Calcium is needed for the maintenance of normal bones and teeth. Calcium also contributes to normal muscle function. A 50g serving of linseed contains 16% of your daily RI for Calcium. Thiamin (Vitamin B1) contributes to the normal function of the heart. It also contributes to normal energy-yielding metabolism. A 50g serving of linseed contains 75% of your daily RI for Thiamin. Vitamin B6 contributes to normal red blood cell formation and to the reduction of tiredness and fatigue. A 50g serving of linseed contains 17% of your daily RI for Vitamin B6. Phosphorus contributes to the maintenance of normal bones and teeth. A 50g serving of linseed contains 46% of your daily RI for Phosphorus. Magnesium is needed for normal muscle function and normal protein synthesis. Magnesium also contributes to a reduction of tiredness & fatigue and contributes to the maintenance of normal bones & teeth. A 50g serving of linseed contains 52% of your daily RI for Magnesium. Potassium contributes to the maintenance of normal blood pressure. Potassium also contributes to normal muscle function. A 50g serving of linseed contains 20% of your daily RI for Potassium.